The brain is the most cholesterol-rich organ in the human body; it contains nearly a quarter of the body’s cholesterol. Cholesterol is an essential part of all animals membranes and cells must maintain a characteristic level of cholesterol in every subcellular membrane. Cholesterol can be taken up from the environment or synthesized endogenously in the cell. Disturbances in cholesterol metabolism or distribution are observed in several neurodegenerative diseases, such as Alzheimer and Huntington, but many aspects of the link between cholesterol and neurodegeneration are still unclear. In our research, we want to understand how imbalances in cholesterol homeostasis can lead to neuronal dysfunction and death, and thus gain insight into this aspect of the development of neurodegenerative disease. 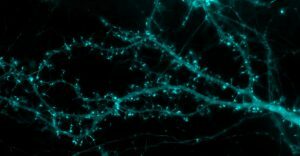 We focus on two central characteristics of nerve cells, a high dependence on mitochondrial function and synaptic activity, and ask how they could be influenced by cholesterol. Mitochondria usually contain very low levels of cholesterol, which they need for membrane maintenance and oxysterol synthesis. Elevated mitochondrial cholesterol levels have been observed in several pathological conditions, including the neurodegenerative Niemann-Pick Type C (NPC) disease, which is characterized primarily by a large accumulation of cholesterol in late endosomes/lysosomes. Our past research has shown that NPC disease is associated with mitochondrial dysfunction, as well as alterations in glucose and amino acid metabolism, and that decreasing mitochondrial cholesterol import can prevent some of these defects. In our current research, we aim to elucidate the underlying mechanisms through which cholesterol affects mitochondrial function, in particular in neurons. A second project is concerned with the role of endogenous cholesterol synthesis in neurons. Our group is part of the Department of Biochemistry and Molecular Biology of Dalhousie University. We work closely together with several other groups in the Faculty of Medicine. Graduate students in the lab have the option of obtaining an MSc or PhD degree in Biochemistry and Molecular Biology. If you are interested in joining our team as an undergraduate or graduate student or a postdoctoral fellow, contact us. For more information on graduate studies, go to the Faculty of Graduate Studies or the Department of Biochemistry Graduate Studies site.